At this moment in time, your future is in your hands and you are just one step away from starting your path to success. Say Yes to NCS with APM! National Citizen Service (NCS) is an exciting four-week programme for young people aged 15-17 that will boost your confidence, help you learn life skills and enable you to grow as an individual enabling you to stand out from the crowd. There are lots of pressures on you at this stage in life to make the right decisions for your future to take the pressure off and choose to complete NCS this summer. Not only is it four weeks of fun, excitement and new experiences, it is also an endless journey of self-discovery and opportunities all designed to make you more confident and capable in achieving your goals in life, whatever they may be. NCS provides vital life skills to equip you with the confidence and ability to interact with new people, it helps you with problem-solving, organization and leadership. These are fundamental skills needed to be successful in a competitive world. “It was great, it took me out of my comfort zone and taught me to work under pressure,” says 17-year-old NCS graduate, Lodrick Makuvaza. In the first of your four weeks, you will get a chance to meet lots of brilliant new people and challenge yourself with an array of outdoor activities. In the next week, you will live in a university-style setting developing skills for life including communication, teamwork, and leadership. In the third and fourth week, you and your NCS mates will deliver a project in your local community about issues that matter to you. Plan, fundraise and make a difference that you can be proud of! Finally, it will be time to celebrate in style with a well-earned reward for doing something truly inspirational during your summer. The opportunities with NCS don’t stop after the four-week programme. NCS graduates get exclusive access to a range of exciting ongoing opportunities from work experience and volunteering to amazing discounts and big events. This year some of the graduates got invited to meet Tinnie Tempah to see a private viewing of Black Panther. Other grads have had the chance to go to BBC1 to speak on issues important to them such as mental health. 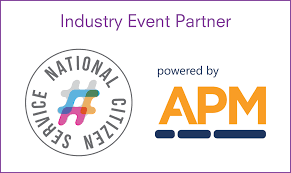 If you want to find out how NCS can give you the skills and experiences to stand out from the crowd, then visit apmuk.co.uk/ncs or call the NCS team on 0330 414 2504 to say yes and book your place today!